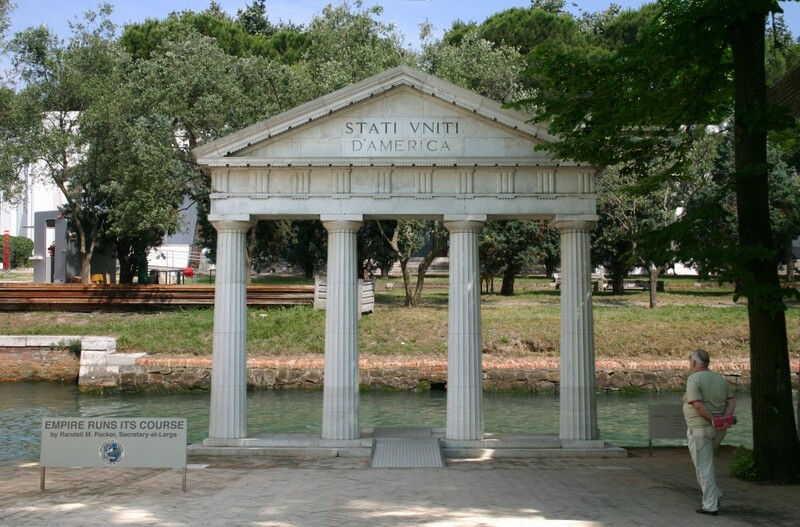 As the 2011 Venice Biennale is about to open I reflect on my erasure of the 2005 US Pavilion (Empire runs its Course) as a statement of America’s diminished standing in the world during the chaotic, post-apocalyptic, post 9-11 years. That year Ed Ruscha represented the US, a choice that had little or nothing to do with the political climate (except perhaps within the art world itself). 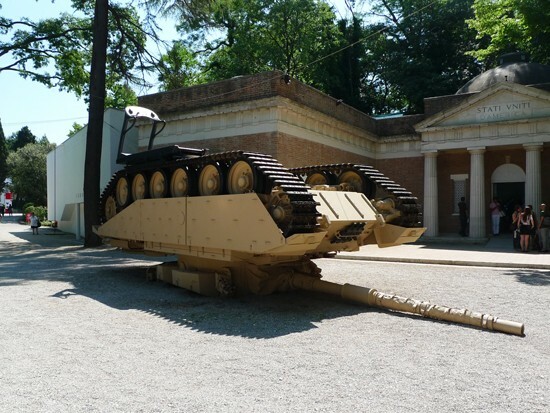 Now in the post-Bush years, the State Department has selected Allora & Calzadilla from Puerto Rico, who actually contribute to the international dialogue with their performance installations that speaks to symbols of power. “Track and field” situates a fully functional treadmill on top of a 60 ton tank turned upside down and powered by a runner.